CALL US TO PUT YOUR BUSINESS LOGO ON CUSTOM WATER BOTTLES! WHY CUSTOM LABELED BOTTLED WATER? ORDER NOW AND GET $40 OFF LABEL SETUP! Liquid Promotions offers refreshing Natural Spring Water from a protected source in the Blue Ridge Mountains of North Georgia. This water goes through Mother Nature’s own slow filtering process as it flows through rock formations, sand and surfaces in a Natural Spring. The result is refreshing crisp tasting water with a TDS of 17 parts per million and one of the purest spring water sources in the United States. 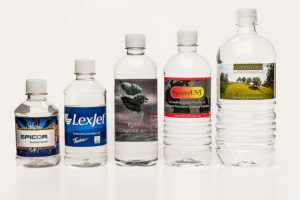 The label is your “billboard” and there are a variety of ways water bottle labels can be used. We use quality water resistant bottle labels that wrap around the entire bottle thus maximizing your advertising space. Call 678-896-3749 to order today! Or click here to get a free quote on your order of custom labeled bottled water. Order now and get $40 OFF label setup! Having custom bottled water from Liquid Promotions, Inc., at your business or organizations event can be an incredibly effective and affordable way to promote your brand. 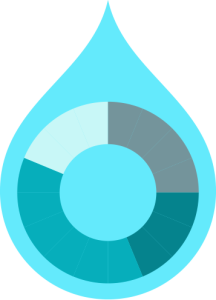 It takes the average person 8-12 minutes to drink an entire bottle of water, so unlike other marketing mediums such as billboards, TV, and radio ads, our solution gives you much more branding exposure for less. Whether you’re looking to reach more patrons to dine at your restaurant, stop into your auto dealership, attend your church, enroll in your school, or seek help at your law firm, we can provide you with an excellent marketing approach that is sure to yield results. At Liquid Promotions, we specialize in providing the highest quality private label (custom label) bottled water solutions with eye-catching messages, logos, and images that will help you grab the attention of your future customers and guests. We use heavy-gauge plastic bottles with a smooth, streamlined surface for a classy appearance that isn’t riddled with ridges that can otherwise cheapen the look. We also use translucent caps to ensure that nothing distracts from the message you are trying to display. Furthermore, we offer a variety of different label sizes and types – including our ever-popular Ultra Clear Label, which gives the customer the illusion that their images were printed directly on the bottle. 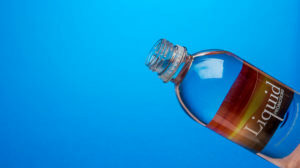 Plus, we offer unlimited colors to create your unique custom label bottled water with, unlike many of our competitors who only offer four-color schemes. At Liquid Promotions, we offer our private labeled bottled water in several sizes, including 8-, 12-, 16.9-, or 20-ounce options, so you can find a size that adequately meets your promotional needs. You will also have the choice to fill your bottles with either refreshing purified water, which goes through a 10-stage purification and filtration process, or our cool and crisp natural spring water, which comes from a protected source in the Blue Ridge Mountains of North Georgia. Regardless of the water type, bottle size, and creative design options you choose for your custom bottled water, you can be sure of the fact that you’ll receive nothing less than the best customer service from start to finish. We are always available to provide assistance over the phone, help with a label design and pride ourselves on working around our customers’ schedules, not our own. Brand your thirst! Contact Liquid Promotions today for more information about our custom labeled bottled water solutions and see how we can help promote your organization or business. We would be happy to provide you with a written quote and sample upon request.